A statue and graves of note in Arlington, Virginia. Episodes: 39 & 45b. Site Numbers: 013 & 072. Date Posted: 3 March 1997. Update 13 March 2000. Location: Arlington National Cemetery, Virginia, USA. Type: Statuary/Graves. 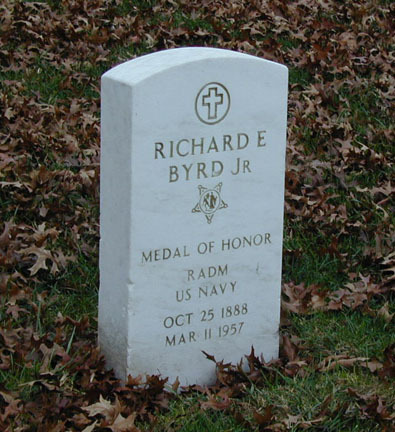 On the front: Richard Evelyn Byrd | Rear Admiral United States Navy | October 25, 1888. March 11, 1957 | [device] | Upon the bright globe he carved | his signature of courage | erected by National Geographic Society. On the east side: [round map of north pole area] | First to fly over the north pole 1926 | And the south pole 1929 | A pioneer conqueror of the Atlantic by air 1927. [Higher up:] Felix W. De Weldon Sc. 1961. 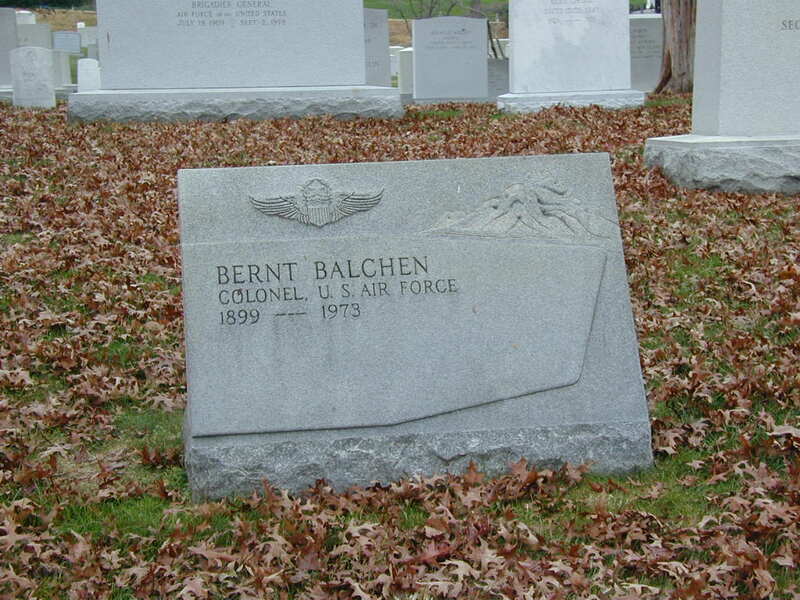 To the west of the Admiral's marker is a larger granite memorial to Bernt Balchen (1899-1973), a member of the first BAE in 1928 and the pilot of the Floyd Bennett on the historic 1929 flight to the South Pole (072). He was also the chief pilot on Ellsworth's 1933-34 and 1934-35 Antarctic expeditions. Norwegian born, he became an American citizen in 1931.